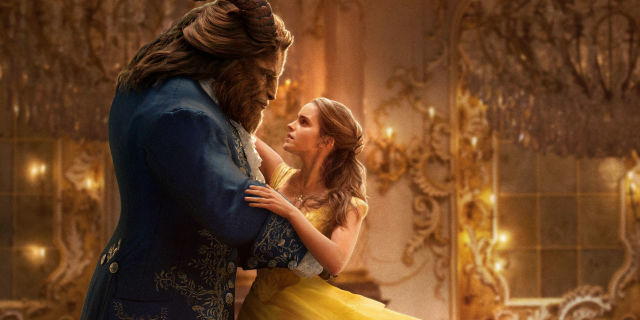 The live action version of the much-loved Beauty and the Beast has finally arrived, but was it worth the wait? A resounding YES! The film follows the basic structure of the animated original but adds its own flaw of relevant themes that continue to affect our society today. Belle's thirst for adventure and something more than 'this provincial life' is something many can relate too. Emma Watson's portrayal is gracious, strong, intelligent and curious, which in comparison to Gaston's egotistical and selfish nature, is sublimely an inspiring character for everyone to look up too. More so, the musical elements are simply beautiful, voracious and funny, culminating in one of the most addictive and heartwarming soundtracks. The soothing rhythms and tinkly softness of the music sets a rich atmosphere to the character's stories. Belle and the Beast's relationship is portrayed beautifully and truthfully; the progression of their feelings towards one another is true of the song, 'Just a little change/Small to say the least.' The lyrics movingly describe the relationship with clarity and rawness. One character that added a fantastic diversity to the fairytale community is LeFou. His undying love for Gaston was sweet and tragic, especially when Gaston led his hideous march to the Beast's tower, hell bent on destroying his adversary. The positivity he brought to every scene was lovely; his happy ending was much deserved! The ultimate battle between Gaston and the Beast was an epic and incredibly emotional story as Belle pleaded her love for him before his last breath. As the sorrow intensified, the uplifting vision of the Enchantress (who was actually Agathe) brought new life to the Beast, making him human again. Belle's friendship with Cogsworth, Lumiere and Mrs Potts was endearing and further explored the deeper meaning of how social status can make people only feel 'useful' if they serve others. It was wonderful to see all the characters have a happy ending; to see them all dancing in the most dazzling ballroom was like watching melting chocolate falling into pieces of gold. Personally, I think it would have grounded the theme of beauty coming from within more powerfully, if the Prince had remained the Beast, because the juxposition was that once he fell in love with Belle, he was no longer a Beast and so his appearance didn't matter. Disney's live action of one of the most beautiful and inspiring musicals is an elegant masterpiece of beautiful storytelling, playful humour and teaches an important theme of self-value and that beauty is not about not being what you are but who you are.